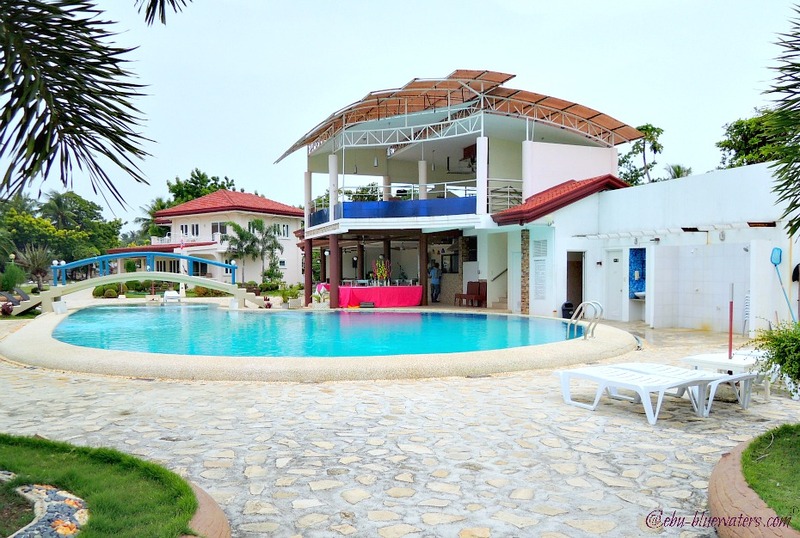 Sagastrand Beach Resort is a strategically established holiday resort on the popular Olango Island of Cebu. This beach resort offers various great facilities and services including a beach and a swimming pool available for any sort of events, celebrations or simply for a relaxing holiday. 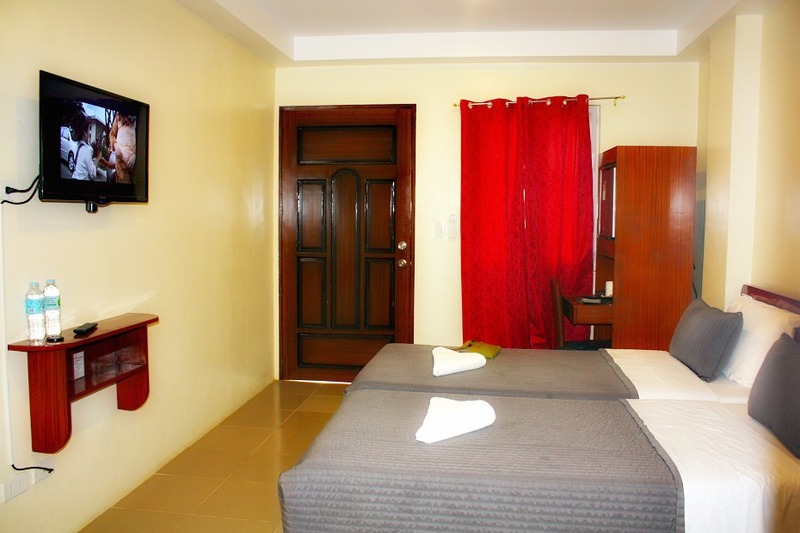 The resort accepts both short and long-term stay in their spacious rooms and houses. In fact, they also accommodate day visitors and guests who just want to have a nice day break. 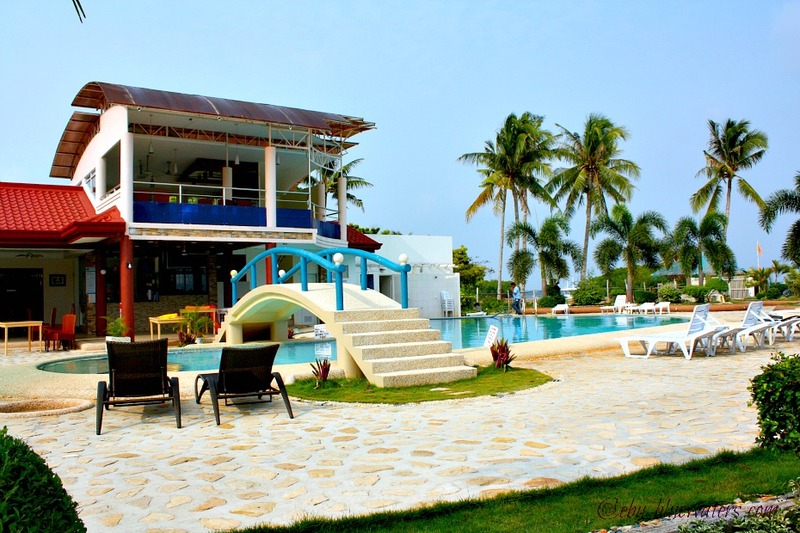 The resort is co-owned by both local and foreign entrepreneurs - a Filipino and Norwegian origins. Interestingly, the resort is named from the combination of both national origins. ‘Strand’ is the Norwegian word for ‘beach’, while at the same time it tells stories about the ancient saga of Scandinavian and Germanic history, such as the Vikings’ adventures and travels using their popular Viking ships. In addition, ‘saga’ is the first two syllables of the co-owner with the family name Sagarino. Yes, this is quite and interesting and fun name of the resort to know! The resort has both individuals rooms and houses with rooms in them. You may rent the individual rooms if you come alone or with someone, and you can rent the a house if you come with a bigger group such as a family. Individuals rooms are normal rooms with the basic facilities and amenities similar to a hotel room. However, a house is really like a house wherein you can find bedrooms, dining room, a kitchen and other necessities of a house. Sagastrand Beach Resort has a nicely designed swimming pool with depths suited to accommodate children and adults. Just make sure you know how to swim or else just stay on the children’s water level area. You can actually swim in it since it is deep enough. The water is clean but it is a bit salty since it is pumped up from a deep well where sea water sips in. 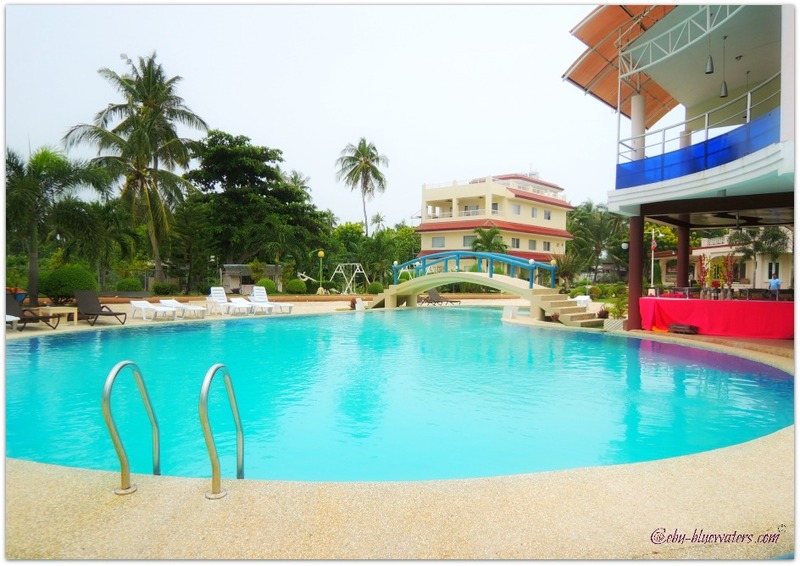 You have a great and wide view of the sea and Cebu or Mactan Island from this pool. If you need something to drink or eat, it can be provided immediately since it is right by the restaurant. Sagastrand is both a resort and a restaurant. It serves mostly local dishes but also offers international cuisines when requested to. The restaurant is located right beside or by the swimming pool and with a view of the gardens and the sea. If you prefer, they can also serve your food much closer to the beach or sea in a small hut with cogon grass roofing. If you are treating your family for break or a few days holiday, they will certainly enjoy the environment and the mini playground. At the playground, children can play swings and other games in a children’s toy house. At the second floor of the restaurant and office buildings you can enjoy the services of the bar and the pool table in it. the bartender can serve you most popular and international liquors and drinks you like. If you prefer, you can also be served with food in this floor and enjoy the view of the sea and surroundings from this vantage point. Yes, they have a volleyball game area. It is spacious and enough for players who love volleyball. The ground is sand and you have a view of the sea and the mangroves nearby it. 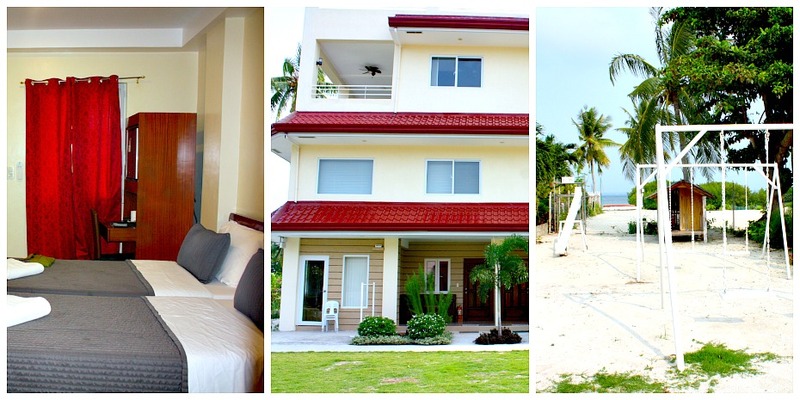 Aside from the basic facilities, Sagastrand offers more interesting facilities and rentals for its guests and visitors with various purposes and backgrounds. 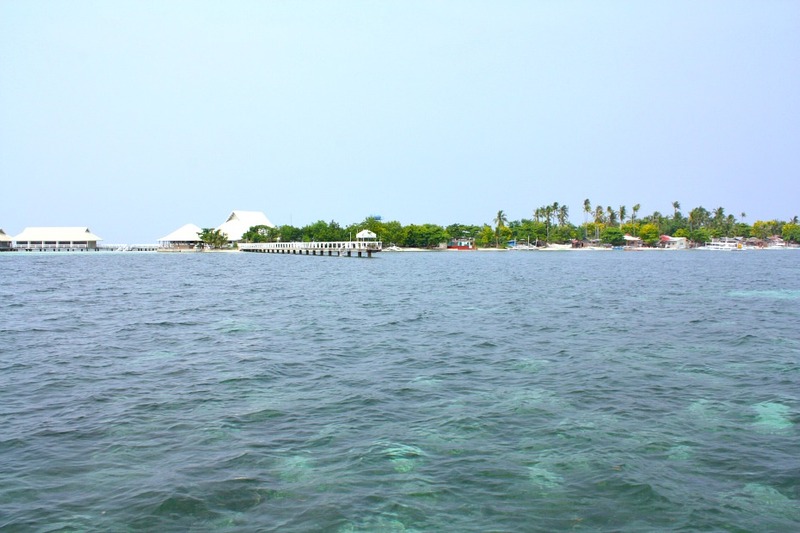 One of the best ways to enjoy Olango Island is to take a ride with either a bicycle or motorbike if you prefer, which actually enjoyed very much. Since there are not many cars and other huge vehicles on the island, you are a lot safer to ride with such transports. besides, renting a bicycle or a motorbike is a lot cheaper than renting cars and you have the freedom to rest and stop by anywhere. Seeing the islands belong to Olango Island groups and watching the island itself in a distance is a great experience to be had. This activity is commonly called ‘island hopping’ by locals and visitors alike. The resort itself has its own outrigger boat enough to accommodate a big group - around 20 people. When doing this activity, you will be guided and brought to islands where you can enjoy any beach or water activity including snorkeling, swimming, sunbathing, photo-taking or just exploring the islands and meeting some locals. For the island hopping, they usually offer three islands to visit. You can bring your own provisions of food and drinks. you may do this by requesting in advance the kitchen staff or arranging it with the people at the Front Desk. Sagastrand does not only receive accommodation requests but also conferences, wedding receptions, birthday parties, social and corporate events and such similar occasions. Let them know in advance to arrange your banquet and any request you want to make to hold your activity or event in this place. They offer their mini stage for any event or performance. Facilities such as the sound system, microphones, tables and such necessities can be easily provided for. Now, let’s check out the most important part of this place especially when you plan on staying longer - an overnight or days long. A Garden View room is located somewhere in the middle and left side (when entering the resort) of the resort where you have a view of the mini garden and pathways of the resort. There are 4 unites of this kind of room each can accommodate two guests each. Upon request, additional or extra bed can be provided with minimal charge. For this accommodation, the following are included for free and with fee: breakfast, bathroom facilities, minibar, coffee facilities; TV, aircon, towels, etc. The Seaview Suites are located just right close to the Garden View rooms aforementioned. They have nice view of the sea since they are in a taller building with terraces where you can view the surrounding area. This Seaview accommodation has 3 suite rooms each with seven beds for a number of guests. Yes, this is a house type wherein you can use its facilities freely with your group or family. House 1 has four bedrooms, each with seven beds for your group. House 2 on the other hand has only 3 bedrooms each supplied with seven beds. Both houses have views of the garden and the sea. Aside from the facilities included are the hot and cold water, kitchen and everything you will need in a kitchen for cooking and dining. Please inquire what you might need in their kitchen if you decide to prepare your own meals. Other inclusions: living room with TV/DVD, water dispensers, terraces with ceiling fans, and bathrooms. See more photos, services, facilities, rates and other details you want to get before you try to reserve or book at this nice resort. One thing I like most about this resort is its accessibility. You can quickly come without so much trouble when you are on Mactan Island or Cebu. If you arrive via airplane, just go straight (e.g. via taxi) to Movenpick Resort & Hotel are where you can find the port for Olango Island. Second, you can avail almost everything you will need during your holiday (or event) from a resort and from the resources available on the island and its satellite islands. Third, the resort has a restaurant, swimming pool, beach and more services and possibilities you can available for your planned holiday or any any you want to organize and happen in this part of the island. Here are the relevant information if you wish to learn more or get more specific information about the resort. Thanks a lot for reading to the end of this page. Hope this provides you enough idea and information about Sagastrand Beach Resort. Have a great time in your travels then.